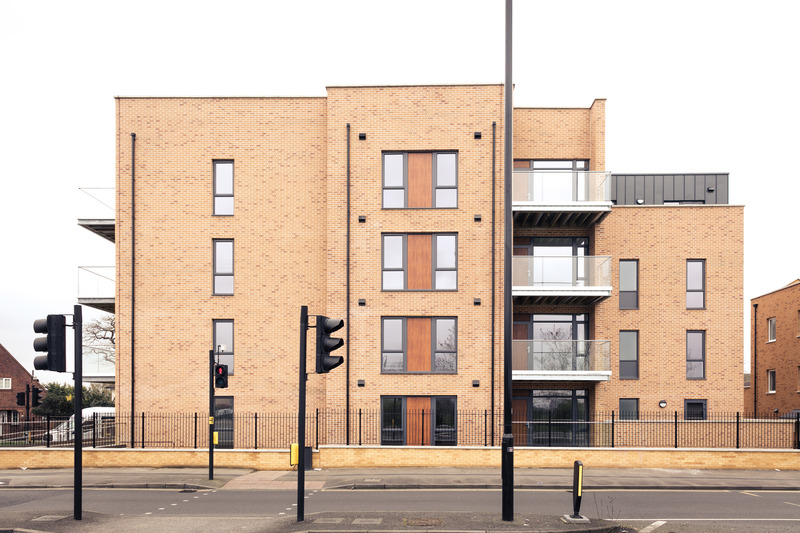 Syntec Projects, a specialist ICF contractor, were appointed to build a four-storey apartment block, comprising of five two storey and 10 single storey apartments over basement parking. Alongside the apartment block there would also be a terrace of four town houses, 3 no. two storey (floor area ~100m2 each) and 1 no. three storey houses (Floor area ~120m2). 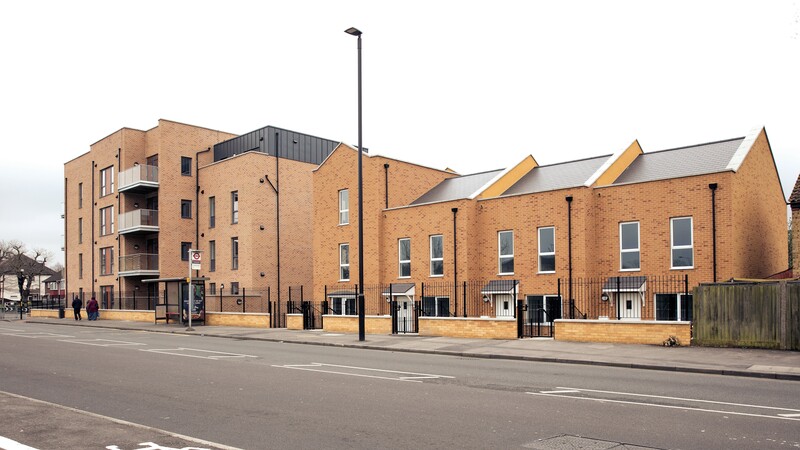 These buildings when completed were to be handed over to A2 Dominion who in turn were supplying these units to the local Borough of Hounslow Council. Syntec were looking to provide energy efficient buildings that would ultimately benefit the end user. 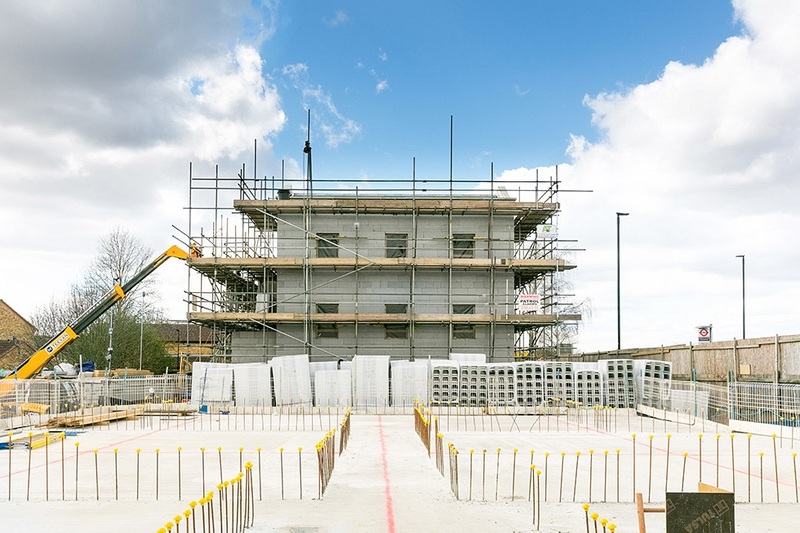 This was to be one of the first affordable rental developments to utilise ICF in the UK. Syntec Projects had two specific requirements for the development’s building method: (1) speed of construction, and (2) air-tightness. 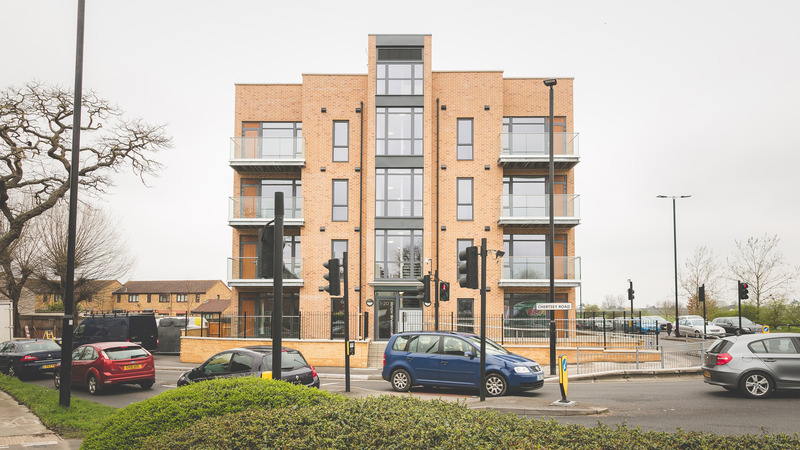 Ultimately, it was vital that the development be constructed efficiently and provide high performing dwellings for its occupiers. Due to tight site conditions Thermohouse facilitated the Syntec building programme by delivering the required components as and when required. The basement was constructed as an in-situ shuttered, reinforced concrete wall. 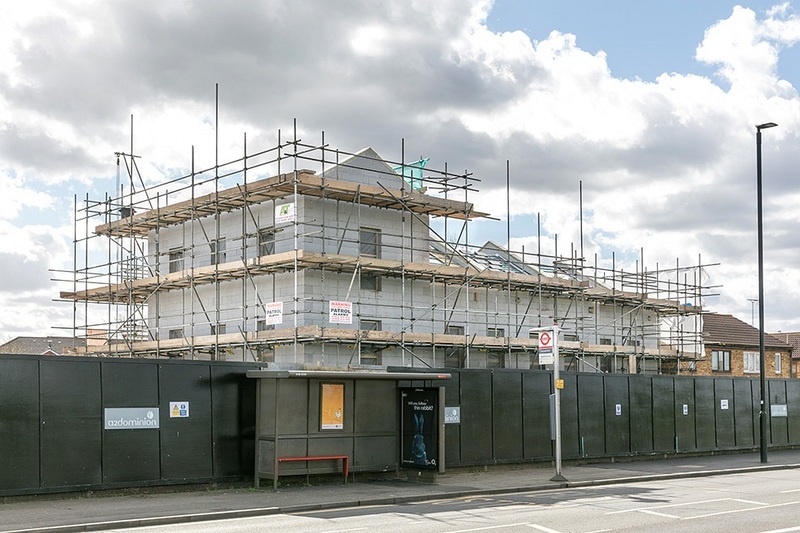 Thermohouse then supplied all the structural elements of the apartment block above basement, external walls, party walls and non-structural permanent shuttering panels for the concrete intermediate floors and flat roof construction. Thermohouse also supplied ICF walls blocks and energy efficient roofing panels for the housing terrace. Additionally, Thermohouse provided technical support to Syntec’s design and on-site construction team. 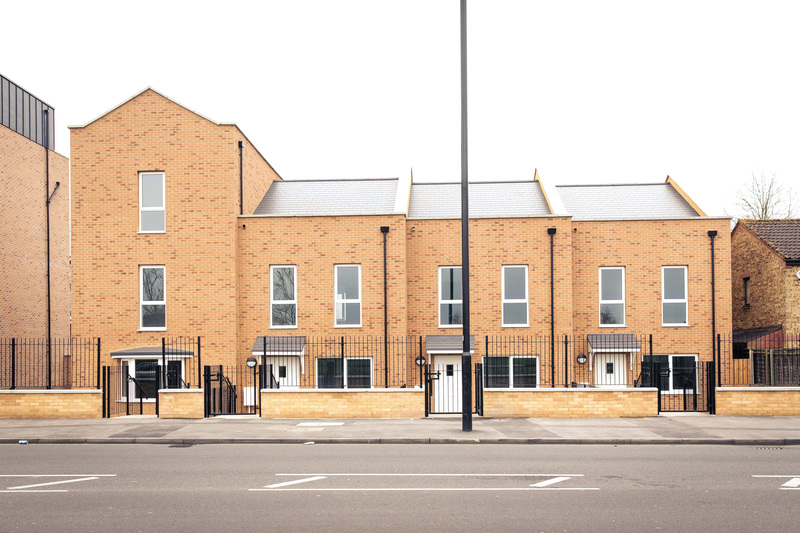 “First eco-friendly social housing build for Hounslow” – An article about Development on the Building Design & Construction Magazine website. Syntec are London-based contractors and shopfitters, who work right across the new-build, refurbishment and interiors spectrum, from high-end residential to social housing and from high-street fashion to cutting-edge bars and restaurants. Ronan Bourke, Managing Director, Syntec Projects Ltd.
Photographs courtesy of © Syntec Projects Ltd.